Control the fan by moving your mouse. This fan is used to guide the panda to the right direction. 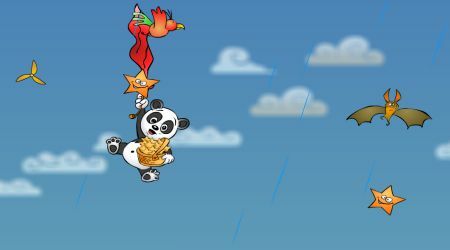 Collect stars without getting hit by the flying animals. 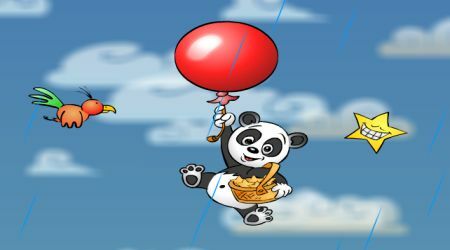 Do not let those animals pop your balloon.